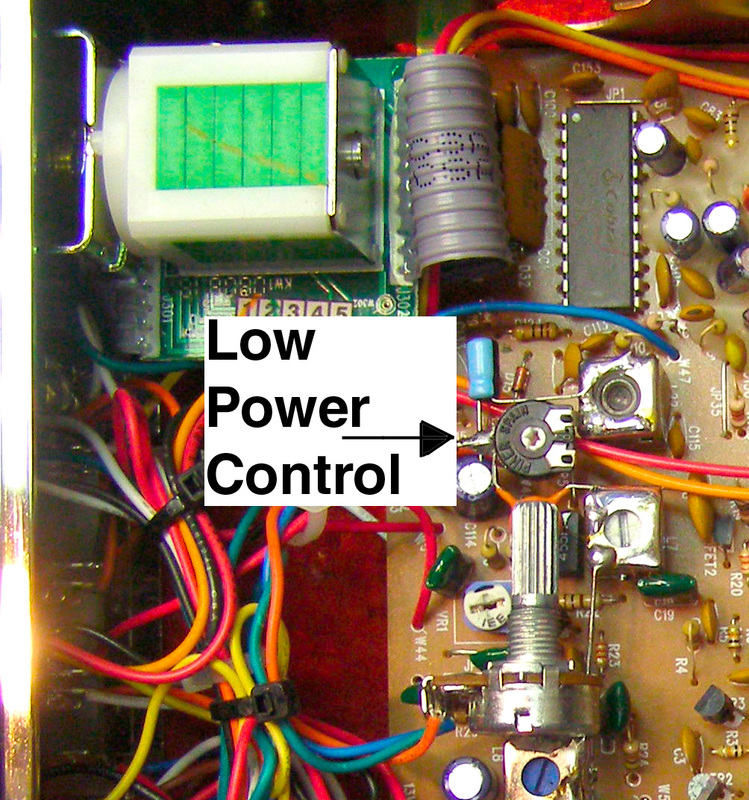 Below is a picture of the internal Low-End RF Power Control Adjustment. I normally set the Low End to (.5 watts). If you prefer a different setting please be carefull and use a small flat head screw driver.